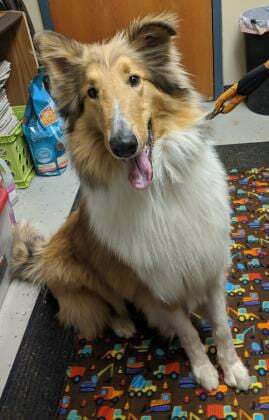 Frankie is a 1½-year-old rough coat collie who has spent most of his young life outdoors. He is a happy-go-lucky dog who loves people. Frankie cannot live with cats or small critters but gets along well with most dogs. 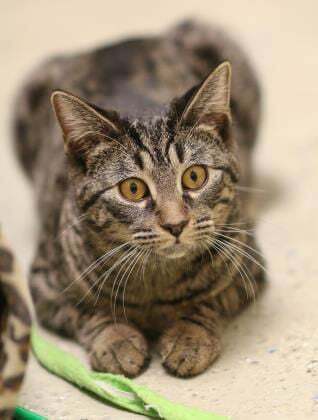 Frankie is neutered and current on vaccines and ready to join your family. Bernadette is a 7-month-old, domestic short haired kitten who came to the shelter in June with 10 other cats. Poor Bernadette and her bonded sister, Leslie, are still searching for a family. Bernadette is one of the most affectionate cats you will ever meet, preferring to perch on your shoulder and purr in one ear while her sister gives gentle kisses to your cheek. Bernadette is fully vaccinated and will be spayed prior to going home.